Speculation on the new Blur - Britpop re-emerging with a completely new sound ? We are going to try to speculate about Blur's future sounds, and future plans, albeit the limited information out there in the Blur-o-sphere. Read on to find out our theories and analysis. Blur is, essentially, making our brains foggy. 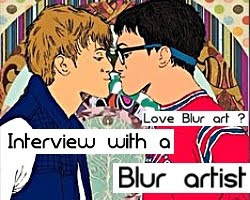 There has been a bombardment of news, interviews and mixed information about Blur's prospectus in the year 2012. Blur may make new material. 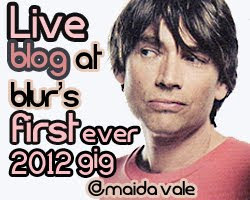 Wait- actually Blur may not make any new material at all. Blur are also, definitely, going to be playing one of their most important gigs ever this year- the Olympics Hyde Park summer shows. So what is in store for us fans, who have followed, anguished and screamed in excitement about the band we know and love? To start off, there is some great news for all Blur fans out there. Damon Albarn has revealed that Blur, far from their rumoured disbanding/ splitting up/ fall out, is actively back in the studio recording new tracks. Damon Albarn appeared on the Andrew Marr show on BBC Radio 1 in the morning of May 13th 2012. 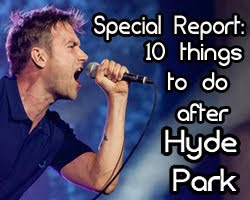 He said that Blur were doing some recordings "next week" or "the week after", and that there could well be more than one new song played at the Hyde Park Olympic summer shows. This recent development is certainly generating great hype amongst Blur's fan base. Could this, once again, be another comment to throw fans off another direction? Or is it genuine, positive news? The Blur camp has been full of emotional ups and downs lately. Moods have been soaring sky high with the announcement of the Olympics Hyde Park summer gigs (when it was thought 2009 was their last). Moods dipped to an all time low when previously, Damon Albarn announced Blur are 'over', and that they will quit after the summer gigs. Damon have also said Blur will not record new songs. The Guardian did a revealing interview where Blur were made to sound like it's over permanently. Damon Albarn later seemingly changed his mind (or perhaps it was the biased reporting) and quashed his statements in ShortList magazine. He, apparently, "completely lost it" when he made those statements. 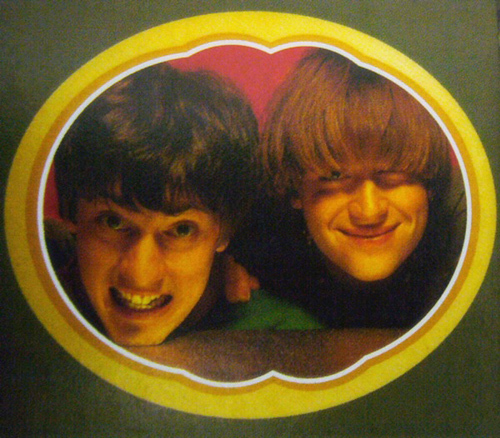 Guitarist Graham Coxon and Drummer Dave Rowntree also made several statements deeming the bleak future of Blur. 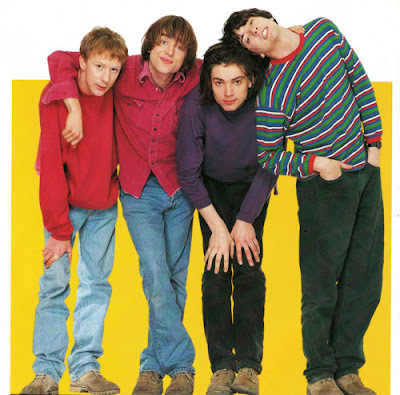 Bassist Alex James also said many varied things about the band's prospects, and not all of it was positive. Who can we believe? "Blur. Awesome band. Damon, brilliant. No question. + hard working as can 100% relate. But as a person, turned out to be a pig." Could this be the beginning of a feud between Blur and the super producer? We speculate that perhaps Damon and the band recorded several new tracks with Orbit at the beginning of this year, but some how, things did not work out for the collaboration. Maybe Damon was fickle in his choice and opinions, ideas and music talents clashed. Quite possibly, the news that Blur are "recording again" means that they were re-recording the tracks they recorded with Orbit after being displeased with the results. Orbit is appearing on BBC Radio 6 to speak about this fall-out - but we have to ask, why is he making public attacks on Damon Albarn? Why the bitter remarks? Is this another random massive fall out between strong minded people of the music business? 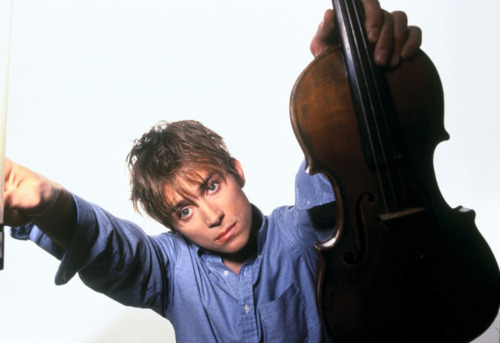 Damon with violin - back to Modern Life is Rubbish / The Great Escape orchestral, wispy sounds? Or, Blur could be reuniting with their early producer Stephen Street for a different sound. 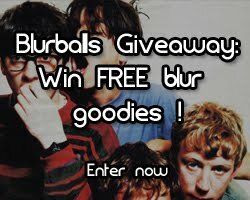 After all, Street is producing and remastering the whole Blur catalogue for the 'Blur21' massive compilation box set, set for release in July 2012. They could have chosen anyone otherwise if nothing was up. No one knows what is going to happen yet this year. Blur, being Blur, keeps us guessing - imagine Damon taunting: "It really really could happen" and then changing his mind! A very young Blur - will their new tracks sound 'Leisure'-esque? After all, Blur is an unpredictable band that changes constantly. The sounds range from early Indie tunes like in ''Leisure', to the Britpop sounds of 'Modern Life is Rubbish' and 'Parklife', to the American Rock sound from 'Blur', melancholic / sonic sounds from Orbit's '13' and finally, the low-fi rock of 'Think Tank'. Maybe Blur decided they have outgrown Orbit's sonic, psychedelic sound of the early 2000s and want to embrace something new. Or perhaps Damon's leaning towards more of a 'Fool's Day' feel, the ballads that matches drums and piano tunes together in an almost 'The Good The Bad and The Queen' style. Damon's new opera 'Dr Dee' definitely shows traces of his love for folk, piano ballad pop, which seems to be cropping up a lot in Damon's post-Blur projects. Hot off BBC 6's twitter - What's up with Billy Orbit ? Blur's latest song 'Under the Westway' certainly seems to be heading towards the general direction of what we mentioned above. Slow, sad and reflective... could this be Blur's new sound? Piano ballads? 'Apple-Carts'-esque tunes? 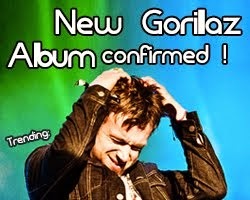 If so, then it would be very interesting to hear what new tracks Damon and company are currently recording. Maybe Dave's drums will only feature on limited tracks. That's not to say that Blur will release a new album any time soon. There seems to be no album plans in store for the immediate future. At most, perhaps we will get a few new tracks from the band. Or will these "new tracks" and recordings even see the light of day? What if Damon changes his mind yet again? 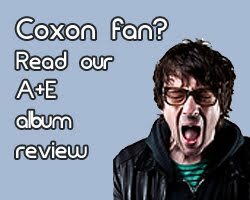 Damon, after all, did say he was recording with Graham Coxon again recently (click to read). Is he planning some sort of solo album with Graham only? Certainly, he seems to be getting on with the guitarist very well lately, more so than "the other two" ? Is a Graham Coxon/ Damon Albarn album in the works? Note- Dave and Alex had little to say in the media recently about their band. Future two man show ? 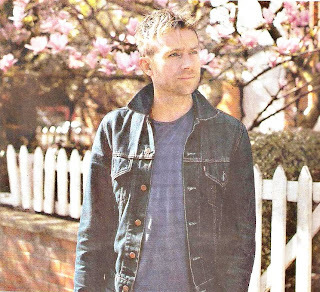 Listen to the latest Blur interview chat below (credit to Gorillaz Unofficial for the recording) where Damon revealed there may be more than 1 new song and feel free to leave a comment, vote on our poll and tell us your views on what you think of all the new developments. Blur can now move on to many possible roads- it's up to the boys to decide which road to take. Which one would they choose ? Check out Blur's rumoured new album HERE.